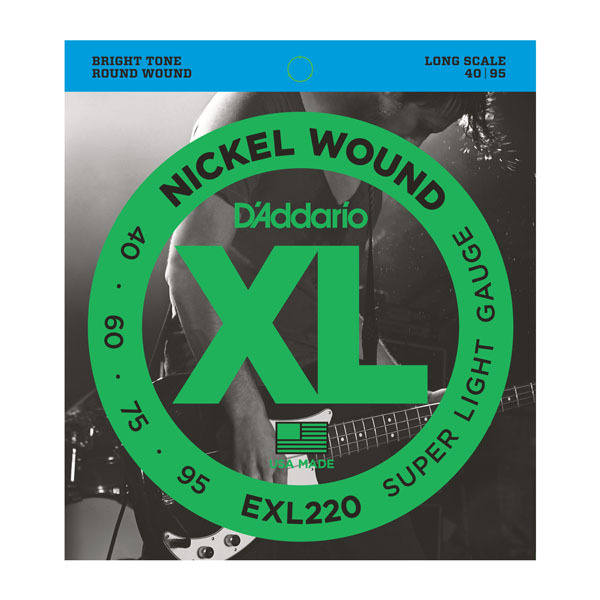 D'Addario EXL220 – nickel round wound electric bass strings set. Super soft/long scale. Balanced and natural sound. Suitable for almost any music style. Gauges: 040-060-075-095.